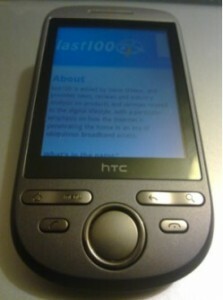 Review: HTC Tattoo (vs HTC Hero) – Android’s mass-market future? I had it on good authority some weeks ago that Carphone Warehouse had already returned a batch of Satios on Day One of its release. The issue: buggy software. The Guardian newspaper’s iPhone app offers off-line mode – mobile Internet’s killer feature? The Guardian has released a paid-for iPhone (and iPod touch) app that makes reading the UK newspaper on Apple’s device a truly smartphone experience. Along with features such as the ability to customize the newspaper’s ‘front page’, support for audio, finger-friendly navigation, including ’swiping’ through photo galleries, the feature that really stands out is off-line browsing. Flip’s home movie set-top box launches – wrong target audience? The FlipShareTV set-top box has finally launched. The device aims to make it easy to share home videos shot on a Flip ‘point and shoot’ camcorder onto the living room TV. Additionally, it can pull down video from Flip’s own video sharing website, so there’s a ’service’ element too. Roku’s $100 set-top box (U.S.-only) just got even more compelling. The company has launched its own app store of sorts – called the ‘Channel Store’ – that brings a growing number of third-party content sources to the device including Pandora (music streaming) Facebook photos, Flickr (photo sharing), along with FrameChannel, Mediafly’s podcast directory, Revision3 and more.